Waterton Lakes National Park, Canada. Waterton Lakes National Park is a national park located in the southwest corner of Alberta, Canada, and borders Glacier National Park in Montana, USA. 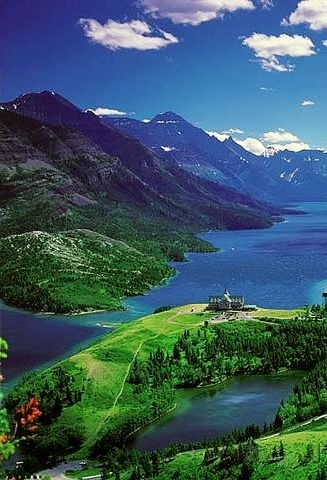 Waterton was Canada's fourth national park, formed in 1895 and named after Waterton Lake, in turn after the Victorian naturalist and conservationist Charles Waterton. The park contains 505 km 2 of rugged mountains and wilderness.